As some of you know, Retribution is in the works and I will be doing some of the shebang that goes with putting out a new book, but meantime, I’ve been thinking about what to do differently. 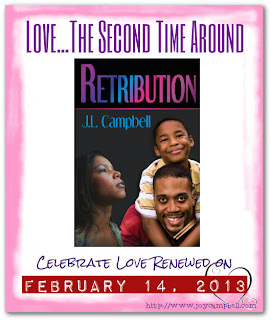 Speaking of which, I’ve postponed the blogfest to celebrate the launch of Retribution, which is a story about love the second time around. I figure by the time we get to February 1, many will be all blogged out from the January hops. Valentine’s Day might also be a bad time, but it gives those who might want to participate, more time to come up with a snippet that talks about people going a relationship a second chance. If you’re at all interested in writing a fact or fiction piece that’ll be good to go by that time, check that out here. My apologies if you get there and I haven't changed the date yet. I'm on it! For some reason, I haven’t made a big deal about the New Year. It came and with it, I recognized that I needed to put more of an emphasis on my writing in terms of taking it even more seriously and treating it as a business. I’m on the way to doing that now. I’ve knocked out something of a schedule that covers the early part of the year. I’m one of those persons who work better with a physical list. It helps me know where I’m at on whichever journey I’m taking. Don’t discount the importance of creating a schedule for your stories, as well as a promotional plan. It helps keep you focused - if you look at it now and then and are committed to the process. I promise. So far, I’ve missed one deadline for late 2012, but I hope to stick with the timeline I’ve crafted so far. I’ll be asking for help from the community with some of the promotional stuff I have to do. Why I find it so hard to ask for help, I’ll never know, but I’m also contemplating reaching outside the community. That is, spending some cash, which is a serious issue when you’re on a budget. Anyhow, I’ll keep you posted on my progress as time goes by. Have you set any measurable goals for 2013 and are you sticking with them? Loved the statement about making writing a business. I do think there's an element of that to it all. Makes perfect sense. Love your book cover and wishing you all the best in its debut. Thanks, Julie. I've been sitting on too much stuff for way too long and meandering, rather than moving forward. Wish you all the best with your book J.L. I miss deadlines in 2012 too but it's 2013 that counts now. Thanks, Sheena. I'm def. trying to stay on track this year. No specific goals for me. Sounds bad but I guess I often work that way. If you missed a deadline, you'll still make it. You're doing very well I think. Thanks, Lee. I keep plugging away. I rather envy people who can set and make goals. I sort of fly by the seat of my pants! Hopefully you don't beat yourself up over missing that deadline. It happens to all of us, and you're accomplishing so much. Good luck with the debut and with your progress/deadlines. I'm kind of in a doldrum of writing. I'm not really working on stuff. Just trying to get over a cold and stomach flu/I don't know what it is following a vegas trip. Also SLC is heavily polluted right now because an inversion traps all the exhaust and emissions in the valley. Due to the extreme cold and unhealthiness of even walking outside, I stay inside when not working. All of that leaves me with a "ho-hum" attitude about getting anything professional done. So I just read and watch t.v. and wait for inspiration to visit. I hope you get back to normal soon and that your muse comes charging back. Def. understand why you'd want to stay indoors. I have various plans for the year, but nothing much with a time line. I never meet them anyway. Richard, that would drive me nuts, but hey, whatever works for you. I feel like I've been in a cave myself. Kinda woke up to the fact (again) that writing has a cycle. Wash. Rinse. Repeat. Thanks, Carol. I hope so too! I say out with the old... in with the new... 2012 has come and gone so there's nothing we can do about that, but 2013 is here so let's embrace it! True that. Forward motion is key. Putting the blogfest back works for me... I was scheduled to do five over the next ten days, none of which have been written yet! Yikes! Looks like a schedule is something that might work for me, then. :) Part of me wants to be impulsive and do whatever I like, but there is a very real need to treat it as a business. Yeah, January is kinda full, blogfest wise. A schedule definitely help me keep the crazies away. The good thing about writing on impulse is that you eventually have a body of work to edit, etc. That's when scheduling becomes important. Uh? Goals? I have deadlines and I'm lagging behind! Well done with yours JL! Hope you meet those goals, Nas. Thanks, Rebecca. Looking forward to seeing what I can accomplish too. Keep me posted on your release. I'd be happy to shout out about it. The beginning of the year seems like a good time to release a book, until you realize just how much is going on during that time. :) Smart move. Thanks for your offer. I appreciate all the help I can get. I'm a schedule kind of person, too. It really helps me buckle down. My current goal is to finish my revisions by the end of the month. Only a few days left! Good luck with your book release, hope it goes well! Hope you get that done. I'm all sorts of behind right now, but it'll all get done is what I'm telling myself. Yep, I'm a bit of a list person as well. I love crossing off the items in the list too. Such a great feeling! I can definitely relate to that. :) Have a great weekend. I have to finish the 1st draft of my novel, and make it publishable by end of the year! All the best with your new book :)...and let me know if I can help in any way. Thanks, Damyanti. I appreciate your offer and will let you know. Thanks! Great to meet you too, Kas. I look forward to the shebang. I'd like to finish some manuscripts this year and start one or two new ones. Me too, Medeia. I so want to get through some stuff.